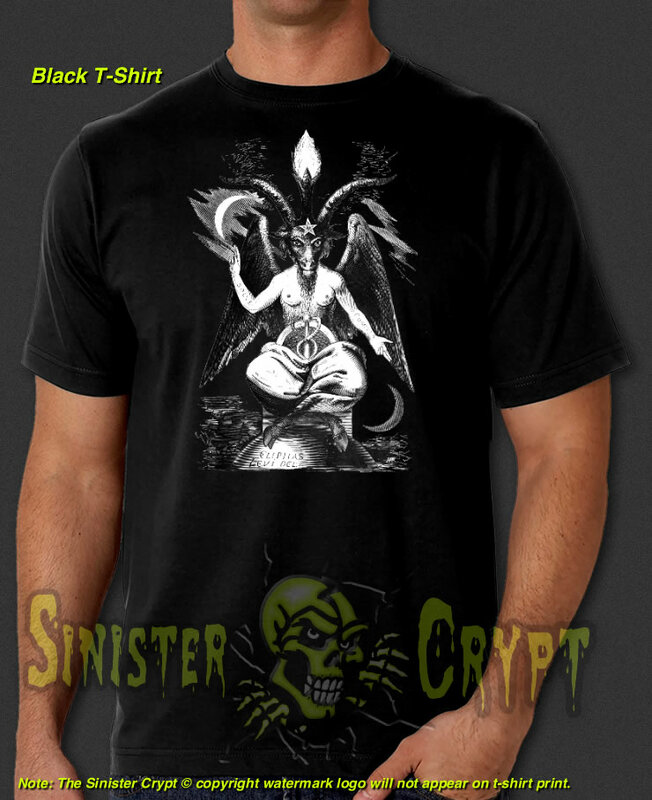 Baphomet t-shirt. The image depicts a Sabbatic Goat, created by Eliphas Levi. The arms bear the Latin words SOLVE (separate) and COAGULA (join together). Baphomet is an idol of a deity that the Knights Templar were accused of worshipping and that subsequently was incorporated into many occult and mystical traditions. Makes a great gift!